Present-day Kearny Point Industrial Park. Image via Google Maps. 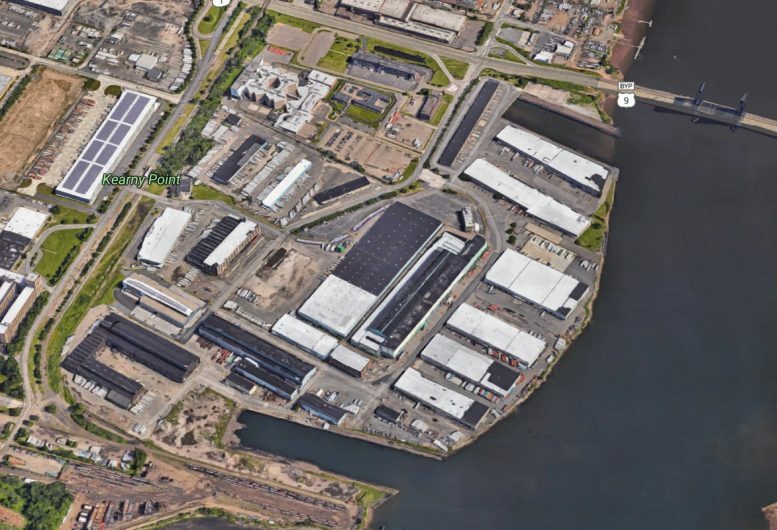 Manhattan-based Hugo Neu Corporation has tasked design and engineering firms STUDIOS Architecture and WXY to convert the 130-acre, two-million-square-foot Kearny Point Industrial Park, in Kearny, into a modernized, mixed-use commercial campus. The industrial park is located in the town’s southern section sandwiched between Jersey City and Newark, in Hudson County, New Jersey. The plan is to preserve the existing industrial buildings and warehouses, many of which are historic, Real Estate Weekly reported. The conversion is expected to attract a wide variety of tenants, including businesses in need of office, manufacturing, storage, and/or industrial space, among others. The site was previously known as the Federal Shipbuilding & Drydock Company and served as the U.S. Navy’s fastest ship-building location in the world during World War II. 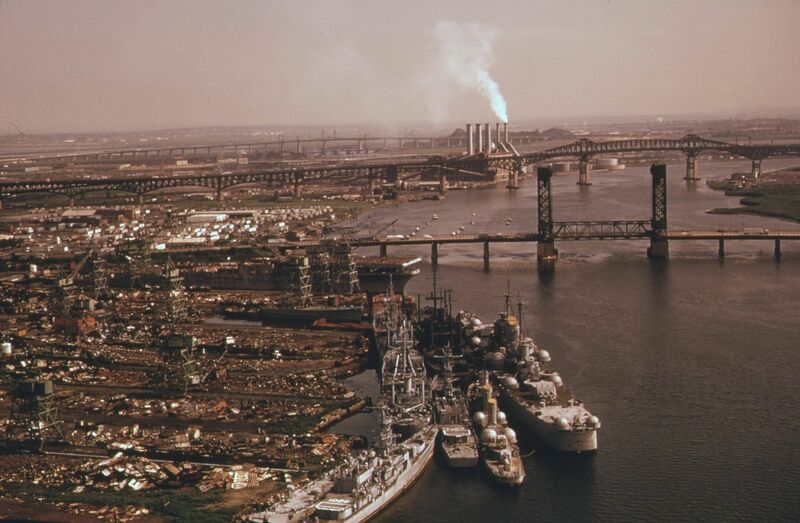 Federal Shipbuilding & Drydock Company, at left, looking up Hackensack River in 1974. The site was used to salvage obsolete ship following World War II. Credit: Alexander, Hope, Photographer (NARA record: 8452212) – U.S. National Archives and Records Administration. 1 Comment on "Two-Million-Square-Foot Kearny Point Industrial Park to Get Modern Commercial Transformation, New Jersey"
Big and wide land, photos of 360 degrees can capture the earth with clearly location.